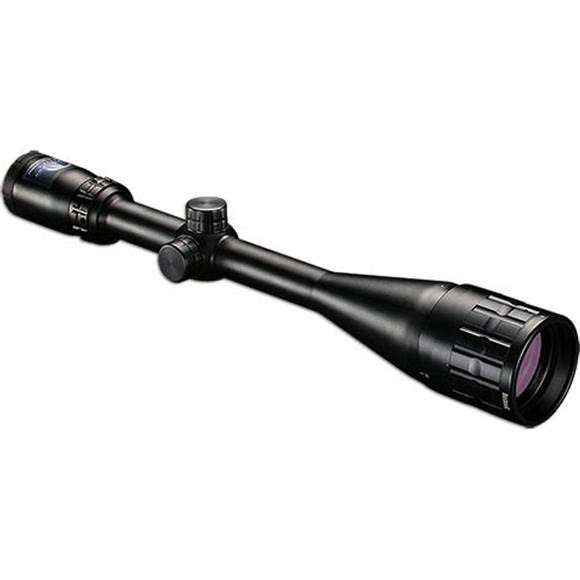 For long-range varmint, silhouette and target shooting. Banner optics are coated with Bushnell's proprietary Dusk and Dawn Brightness (DDB) multi-coating process giving you the brightness and clarity you need to fill your tag in those critical first and last minutes of daylight. Banner optics are coated with Bushnell&apos;s proprietary Dusk and Dawn Brightness (DDB) multi-coating process giving you the brightness and clarity you need to fill your tag in those critical first and last minutes of daylight. Multi-Coated optics for superior light transmission and brightness. Multi-coating process giving you the brightness and clarity you need to fill your tag in those critical first and last minutes of daylight. Products are O-ring sealed and nitrogen purged for total waterproof and fogproof protection. These models can withstand complete immersion in water and stay dry inside. The interior optical surfaces won&apos;t fog due to rapid temperature change or humidity. The Multi-X is your more traditonal single plex aiming reticle.